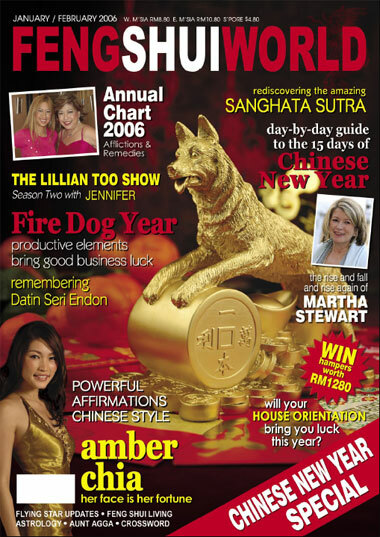 Page 38 : Will Your House Orientation Bring You Luck This Year? Page 30 : Close Up on Chins! 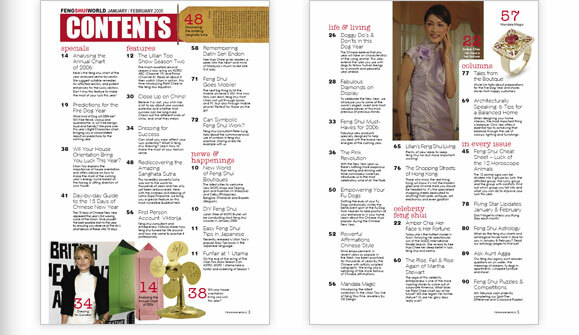 Page 71 : Feng Shui Goes Mobile! 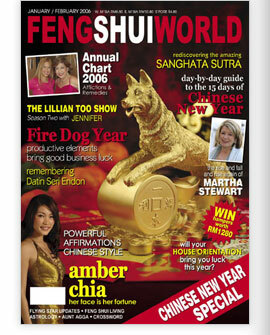 Page 72 : Can Symbolic Feng Shui Work?